Six matches remaining in this Premier League season with week 33 coming up this weekend and Leicester City have managed to maintain their lead at the top. It has certainly made for an interesting and exciting season to see teams like Leicester and Tottenham pushing for the Premier League title and this weekend should bring plenty more excitement. This weekend should be an interesting one to be sure with Leicester traveling to Sunderland while Tottenham host Manchester United. The bottom of the table has been nearly as compelling as at the top. Aston Villa are almost certainly relegated at this point, if not mathematically so. This weekend’s match between Crystal Palace and Norwich City could either drag one of them further into the relegation battle or provide a much needed boost. Meanwhile, both Newcastle and Sunderland have difficult matches with Newcastle traveling to Southampton while Sunderland host Leicester City. A loss for either team could be devastating for their chances at staying up this season. As far as FPL matchups for this weekend, Bournemouth is a sneaky pick across the board as they face the sinking ship that is Aston Villa. Southampton have started to look good in recent weeks and face Newcastle which should be another excellent place to pick up players across defense and attack. Liverpool facing Stoke on Sunday looks like a potential to begin filling your FPL team with Liverpool players to start prepping for their upcoming double game weeks. There is one caveat in that I would not recommend their defensive options. Stoke have started scoring again and Liverpool could have the hangover effect of having played in Germany on Thursday. Both Swansea and Chelsea also represent some good value with each team finding some recent form and having little to play for at this point. This looks likely to have goals on both sides with players looking to impress to end the season. For week 33 there are two teams with double games with Crystal Palace facing Norwich and Everton and Everton taking on Watford and Crystal Palace. Both Crystal Palace and Everton look like good attacking threats for week 33 and 34 considering they both have doubles for each week. The difficulty will be their blanks on week 35. 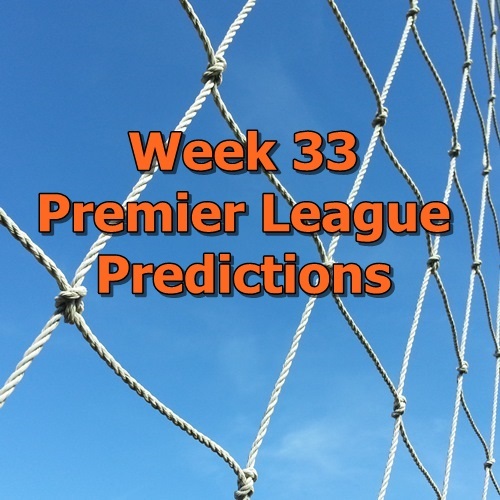 In preparing your fantasy Premier League team for week 33, don’t forget about the upcoming double game weeks in week 34 and 37.